Leaving your reader adrift is never a good idea. Farley slowly drifted away from us as we snorkeled nearby. You can tell he wasn’t happy. 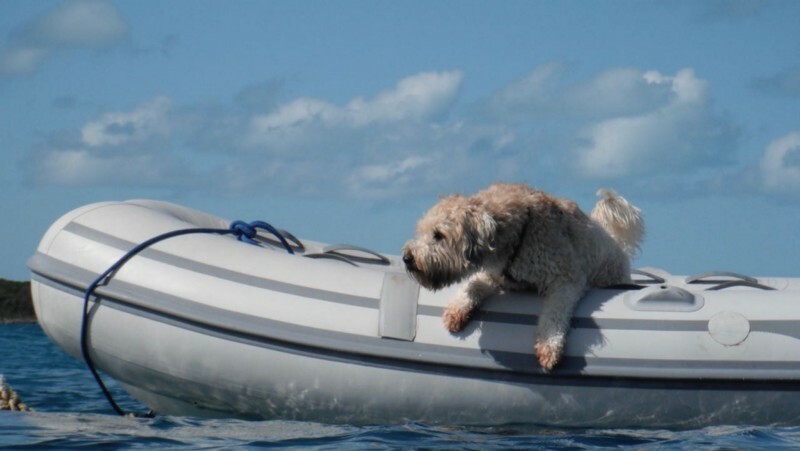 Even he knew we could have kept him near us if we anchored the dinghy. The same goes for your readers. If you anchor them at the beginning of each scene, they won’t drift away and do something other than read your book. So what does it mean to anchor a scene? The start of a new scene means the point of view has changed, the setting has changed, or the time has changed, hence every scene needs to be anchored. For each scene, check whether the reader will know who has the point of view within the first paragraph or at least within the first couple of paragraphs. If not, the reader might find this frustrating. If you write your entire novel from one point of view, like many first-person novels, then you don’t need to worry about this. There are exceptions to this. If your scene is about a character waking in a dark place and confused about where she is, then it’s okay for the reader to be confused about where she is too. This will add to the tension. The reader does need to understand the lack of setting is done on purpose. The timing your reader needs to understand depends on the scene you’re writing. The reader may only need to know if the scene is happening during the day or at night. If several years or several seconds have passed in a characters life, then the reader needs to understand that. If you are jumping back in time or forward in time the reader needs to understand that too. The quicker the reader gets the timing, the quicker they will be drawn into the scene. Fictionary is a new interactive web app for self-editing fiction that helps writers turn a first draft into a story readers love. Below is the opening scene from Look The Other Way (by Kristina Stanley — cofounder of Fictionary). The “Anchored” key element makes me evaluate each scene and think about whether I’ve anchored the reader or not. If I haven’t, then I need to rewrite the opening. The reader knows by the second sentence that Shannon Payne has the point of view for the scene. By the fourth sentence, the reader knows the characters are in an office and the scene is most likely happening during the day. Notice I haven’t stated this explicitly. The reader is smart and will understand that characters sitting at a desk with one of them being fired means they are in an office during a working day. You don’t have to anchor a scene by telling the reader everything. You can show them who the POV character is, where they are, and what time it is. Your challenge is to ask yourself if every scene in your novel is anchored. Does the reader know who has point of view, where the character is, and what time it is? Post written by Kristina Stanley, author of Look The Other Way (Imajin Books, Aug 2017). 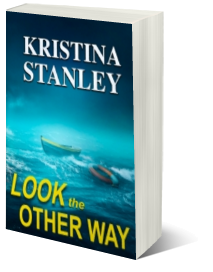 Kristina Stanley is the best-selling author of the Stone Mountain Mystery Series and Look The Other Way. Crime Writers of Canada nominated DESCENT (Imajin Books, July 2015) for the Unhanged Arthur award. The Crime Writers’ Association nominated BLAZE (Imajin Books, Oct 2015) for the Debut Dagger. Imajin Books published her third novel in the series, AVALANCHE, in June 2016. Luzifer-Verlag published Abwaerts (Descent) in Germany in the fall of 2017. Her short stories have been published in the Ellery Queen Mystery Magazine and The Voices From the Valleys anthology. She is the author of THE AUTHOR’S GUIDE TO SELLING BOOKS TO NON-BOOKSTORES. Her short story, WHEN A FRIENDSHIP FAILS, won the 2014 Audrey Jessup with Capital Crime Writers. Kristina is the CEO of Fictionary, and all of her books were editing using Fictionary. Why not check out our free 14-day trial and turn your draft into a story readers love? The Story Arc & Why Stories Captivate! Sign up for our blog and receive our free eBook on Story Editing. Are You Joining NaNoWriMo This Year? 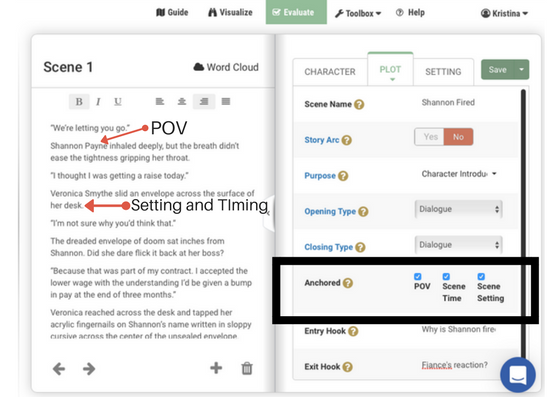 The first online tool for editing your story, not just your words.